The International Medical University offers scholarships 2016 for its pre-university and undergraduate programmes. Malaysian and International students who demonstrate academic excellence will be invited to apply through their offer letter. Awarded annually, the scholarships are in the form of tuition fee waiver. Malaysian and international students are eligible to apply. Minimum O-Level / SPM grades required are listed below. Scholarship applications can only be made after applying for the FiS programme. Eligible candidates will be invited via email to apply for a scholarship. - A personal statement with at least 100 words. These documents must be submitted to Admissions Department 7 working days after the closing dates (1 week after the commencement date). If an applicant is awarded a scholarship, the scholarship value will be deducted from Semester 2 fees. - The scholarships range from RM 2,000 – RM 6,000. 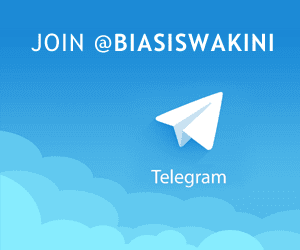 - Candidates are required to achieve As in at least 3 Science subjects (Mathematics, Biology, Physics, Chemistry) and English in order to be eligible for the FiS scholarship. Scholarships are ONLY open to all local and international students who have completed either the SPM or O-Level qualification at the immediate preceding year before admission into IMU. Example: If the student is applying for admission into 2016, he/she is only eligible to be considered for the scholarship if he/she has completed SPM or O-Level in 2015 and met the requirements for scholarships. There should not be no gap year between the completion of SPM or O-Level to the commencement of study in IMU. Scholarship will only be awarded based on the actual SPM or O-Level results and not on forecast results. Eligible candidates will be required to pay Semester 1 fees to register into the course and qualify for the scholarship. Important: Scholarship is not automatically disbursed and is subject to approval from the Scholarship Selection Committee based on the candidates’ actual SPM or O-Level results and achievement in ECA. An interview is not required. IMU Scholarship Committee may vary the selection requirements as and when it deems necessary. 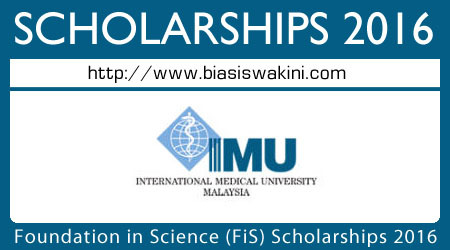 0 Komentar untuk "Foundation in Science (FiS) Scholarships 2016"